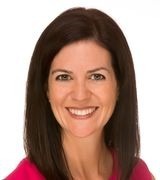 Annemarie Hensley is an experienced agent with an impressive track record that shows results. She is one the most hardworking, honest, and friendly real estate professionals you will ever meet. Her success in real estate has been based on referrals from her past clients and her dedication to her business. Annemarie and her team of real estate professionals are strong negotiators with proven success in getting you the best contract. Annemarie has led her award winning team to be one of the top ranking real estate teams in Richmond, VA.